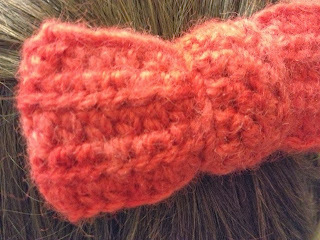 Had a little alpaca yarn left over from a slouchy hat I made. 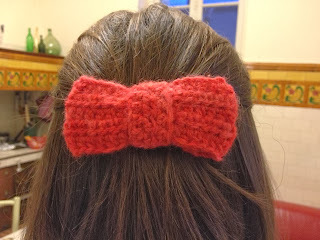 Knocked up this little cutey hair clip. Idea from a fab crochet book called Geek chic crochet by Nicky Trench. It’s a good book! I want to make many of the patterns featured. This entry was posted in Alpaca yarn, hair clip on January 23, 2014 by louise.